Integrator Constant Technologies was bred to provide mission critical AV solutions. Now the mission critical market is expanding into traditional AV space. To a certain degree, every AV project is “mission critical AV.” Of course, those degrees vary significantly. Constant Technologies experiences this more than many firms. An executive video conference call, for instance, is important and customers rightfully expect a 100 percent success rate. A dropped call in that case, however, doesn’t endanger lives or profits. 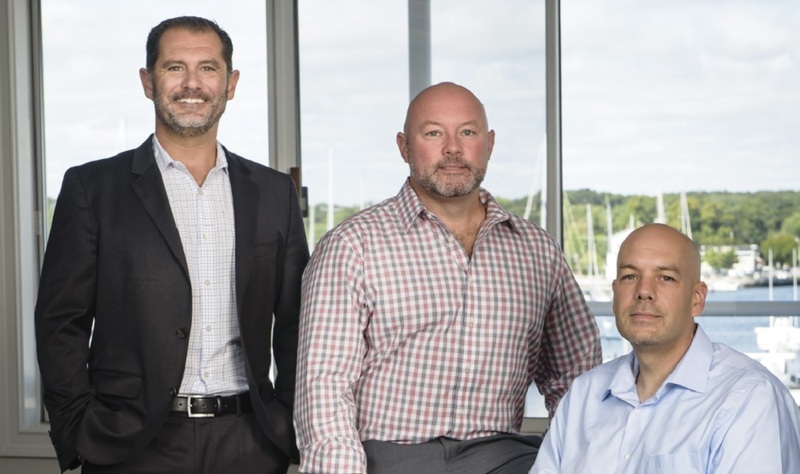 Constant Technologies, a North Kingstown, R.I.-based integration firm, takes pride in projects that for its customers have real consequences. Meanwhile, what defines a mission critical AV project is rapidly evolving to incorporate applications unforeseen a few years ago. Consider Akamai, a content delivery network and cloud service provider headquartered footsteps from the Massachusetts Institute of Technology in Cambridge. As a managed services provider the AV systems delivered by Constant Technologies, its integration partner, have to be reliable. Its customers pay for reliability. “Our customers are large-scale broadcasters migrating to broadcast-quality streaming on mobile devices, home devices, Apple TV, Roku, [etc. ],” says Vito Politano, technical support senior manager for Akamai. That monitoring, facilitated by Constant Technologies’ designed and installed solutions, is mission critical in that Akamai’s customers can’t afford for it not to work. The integration firm is built around being able to understand myriad customers’ mission critical AV needs; then to be able to design solutions with on-going support. Not every AV integration firm is built for that. Here’s the thing, though — that lane is widening. The example of an executive’s dropped video call might seem trivial compared to work happening in many command and control centers, but AV customers’ definition of “mission critical AV” is subjective. As the mission critical AV space expand and creates new integration opportunities, Constant Technologies sees itself as having a clear competitive advantage versus traditional AV integration firms. The integration industry is one that continually evolves. Any firm that has been in business for multiple decades likely was born as something very different than what it is now. Few, if any, however, share Constant Technologies’ origin story. In 1982 the company was founded as a provider of custom server cabinets. Demand led to the expansion into the console market. During the 1990s, AV integration was added organically to address increasing correlation between display wall systems and consoles in an operations center. The unique background has direct influence on where Constant Technologies is today, according to Righi. Many of the server cabinet and console solutions it provided were workstations, network operation centers and security operation centers. “We wanted to remain in that niche of mission critical AV next to the data center that was monitoring information,” he says. Early on, its customers seemed to embrace Constant Technologies taking on more responsibility around its technology needs. Mission critical customers, like most, prefer having fewer points of contact and a clear chain of responsibility, says Stephen Sullivan, CTO, Constant Technologies. Clients’ comfort levels, of course, correlate directly to integration firms’ demonstrable ability to handle their jobs. Establishing that credibility when it comes to mission critical AV applications requires commitment. Constant Technologies does straddle several vertical markets due to the evolving interpretation of what makes a mission critical application. However, it remains true to the mission critical part. As the definition of mission critical AV broadens, it’s almost as if a new customer category has emerged for AV integration firms to pursue. The customers might be the same, but as they evolve their businesses they may prioritize certain aspects of video distribution or business communication as mission critical. “We’ve always stayed within that niche of complexity,” Righi says, adding that the niche has expanded to include more traditional AV integration customers. “It’s not just the DoD (Department of Defense) and certain clients deeming things as mission critical. Meanwhile, traditional AV integration firms that provide mission critical AV services in addition to more conventional solutions for other customers aren’t as equipped to do so as Constant Technologies, according to Righi. He argues that being a mission critical solutions provider requires tunnel vision and commitment. The benefit to Constant Technologies being entirely focused on mission critical applications, he says, is that everything it does beginning with hiring and training targets the same goal, which is to serve customers that leave little room for error. “If you’re an integrator that focuses on huddle spaces or conference rooms, if you do that better than anyone else, you’re going to grow rapidly and have a successful business,” Righi says. Constant Technologies exudes confidence when it comes to its ability to solve clients’ demanding needs, especially compared to that of traditional AV integration competitors. The reason Constant Technologies stand out in the market is “very simple,” Righi explains. “We focus on our core competency and the complexity aspect, making the complexity of the project simple for the clients. Sasseville, who oversees the project engineering team, says Constant Technologies is built to support an extremely customized workflow because of the unique nature of every project. 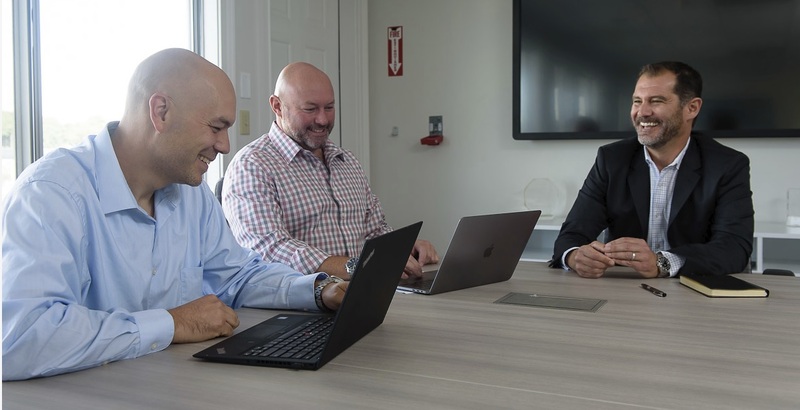 As a non-typical integration firm, Constant Technologies takes an industry-atypical approach to key decisions such as choosing vendor partners and hiring employees. “We select our vendors very carefully,” Sullivan says. “We don’t sell a lot of different manufacturers’ gear. We develop relationships with the vendors to the point where we need them to be able to support us as well as we need to be able to support our clients. Hiring is an equally high-stakes issue for Constant Technologies. Growth opportunities related to the expanding mission critical market are hitched to the firm’s ability to make strategic hires. Add in the highly customized and engineered nature of the work and the fact that some of its technicians spend up to 60 percent of their time on the road serving customers and it adds up to some unique recruitment challenges. “It’s definitely a challenge. We’ve been ramping up quite a bit, bringing in a lot of new people,” Sullivan says. “For us, we can’t just go out and grab just anybody from the industry or someone that’s interested in the industry,” Righi says. Despite designing, installing and servicing AV solutions, Constant Technologies doesn’t consider itself a traditional integrator. Its experiences with customers seem to support that. The traditional AV integration market has seen the technology purchasing decision makers within customers’ organizations evolve over the last several years from facilities management to IT. CI’s 2018 State of the Industry Report shows that 34 percent of customers are primarily represented by a customer’s IT manager or professional. In Constant Technologies’ case, it’s seeing mission critical AV customers’ tech purchasing decision-making roles evolve even further. It follows, therefore, that cybersecurity would be a vital focus for Constant Technologies and its customers. Over half, 54 percent, of AV integrators see themselves as marginally prepared or not prepared to address clients’ cybersecurity concerns, according to the State of the Industry Report. Constant Technologies, however, seems to have no problem instilling confidence in its CISO network and data guardian customer contacts. Sullivan takes a strategic approach to how AV products blend with customers’ cybersecurity priorities. Part of looking ahead, for Constant Technologies, involves riding the wave of opportunity that stems from audio and video taking on more mission critical roles for customers. Mission critical AV has been Constant Technologies’ domain. As that domain expands it’s a safe bet that there will be a lot more competition between Constant Technologies and traditional integrators for non-traditional mission-critical customers’ now mission critical AV projects. Righi, for his part, doesn’t seem worried. He draws a line in the sand between what Constant Technologies offers and what traditional AV integrators can do for mission critical customers. What is the one policy or business approach that sets your company apart from other commercial integration companies? Finding the right integrator for a command center project is about more than what they can do for you today; ultimately, the best integrator for these complex projects is one that fosters a long-term relationship. Clients agree that not only is Constant Technologies knowledgeable, quality-focused, and thorough, we are also continued supporters of our valued customers. Do you consider your company to have a niche? Constant focuses on the 24/7, mission critical AV market. Not only is this an exciting market with high demands where innovation flourishes, it is also an arena with serious real-world implications. It is satisfying to know that our work helps clients to succeed in vital operations, whether those operations ensure the security of an organization or contribute to public safety. In the interest of improving the industry, what mistake(s) has your company made that you want others to avoid? In our dedication to providing the most cutting-edge technology, we’ve learned to be careful not to tread too far over onto the bleeding edge. There is a delicate balance between technology that is new but has proven reliability. Our clients want the latest and greatest technology but that must be paired with products that are tried and tested for 24/7 environments. Another lesson we have learned is to focus on our strengths and not stray from our core competencies. Experience has taught us that these complex projects are the ones we do best. What does your business has to preparing for now in order to sustain success over the next 10 years? Our company name comes from the idea that “only change is Constant,” so we are always looking to the future. Technology changes rapidly and we continue to strive to be on the forefront and stay current on all upcoming technology trends and products to build the world’s premier operations centers. As we continue to grow, the challenge will be continuing to make strategic hires. As much of our success can be traced back to the quality of our team our focus for growth needs to be in expanding our company with new talent that can help Constant continue to meet and exceed client expectations. To what degree does your company earn recurring revenues through service contracts or managed services? One of our core principles is to treat our clients not just as customers but as partners, and the long-term service contracts we offer allow us to continue fostering that relationship past the completion of our installations. Approximately 20 percent of recurring revenues can be attributed to the service and support contracts we hold globally.